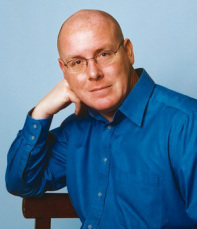 Nick Leeson was an investment officer of Barings Bank London England. Mr. Leeson worked out of the bank's Singapore office. Mr. Lesson was accused of losing 1.3 billon dollars as a result of a risky derivatives investment with the potential of a 27 billon gain. To be fair to Mr. Leeson, he had made other investments that had made significant gains. Nick blamed senior management in London for the debacle and they blamed Nick. It should be noted that accounting safeguards were apparently not in place in the Singapore office. After capture, Nick was held in confinement for nine months in a Frankfort Germany prison and was eventually extradited to Singapore where the alleged crimes were committed. Nick was sentenced to 6 1/2 years by the Singapore court for forgery and cheating. The result of the 1.3 billon loss was the financial collapse of one of the worlds largest banks. What does Nick's handwriting tell us about his character?